Reef aquarium filtration has come a long ways in the pasttwo decades. The advancements are greatenough to warrant discussions and explanations on what we now use forfiltration. From humble beginnings tocomplex (and often pricey) filtration systems there is now more than everbefore a need to review the products and concepts behind filtration methods. 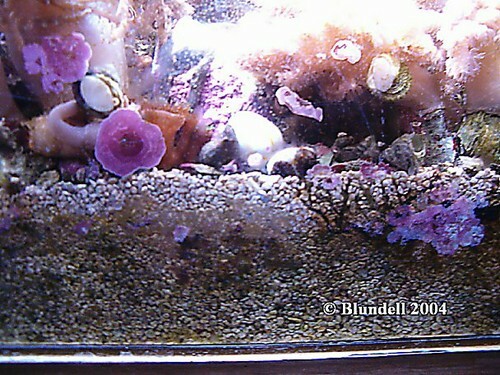 Sand beds arecurrently the most popular form of filtration media in today’s reef aquariums. Reef aquarium filtration is often divided into twocategories for ease of conversation. The differentiation is usually in regards to whether the filtration (beit device or concept) has a greater focus on biological breakdown of waste or agreater focus on the removal of waste. These two facets being commonly known as “biological filtration” and as“mechanical filtration” respectively. This classification is admittedly easy to use and generic whenconversing with other hobbyists. However, I would like to propose another classification system whichcategorizes filtration methods as “recycling” and “removing” methods. I will come back to this concept in a laterpublication. 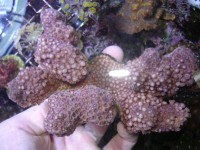 Current filtration methods for reef aquaria include thefollowing items: undergravel filter, hang on filters, canister filters, proteinskimmers, algal turf scrubbers, live rock, live sand, terrestrial rock, terrestrialsand, UV sterilizers, filter floss, filter pads, filter socks, algal growth,corals (including non reef building), anemones, water changes, sponges (livingand non-living), gravel/water siphoning, fish, crabs, shrimp, sea stars,urchins, mangroves, and more. Wow isn’tthat a lot of stuff? In order to reviewall of these items I’m going to divide them into the two common categories. I’ll start with this because it is usually simple to understand and familiar tomost hobbyists. Mechanical filtrationis typically carried out by a device you purchase. This can be a very cheap filter sock to a very expensive proteinskimmer. The whole concept is toremove waste particles from the aquarium before they have a chance to breakdown into smaller organics. If thatdoesn’t make sense, please go back and read that sentence again. The idea is to remove and thus prevent abuild up of organics in the system. For10 years now as biological filtration has dominated the hobby, theusage and understanding of mechanical filtration has plummeted. This may not be a bad thing, but it may generate a false sense ofsecurity as aquariums continue to build their organic loads and reach amaximum capacity. The pro’s to these items center around effectiveness. Nearly all of the mechanical filtration devices for purchase doin fact work. A filter sock really doescatch and remove things that flow through it, and an intake sponge does aswell. The con’s to such devices focuson three aspects (that I can think of). First of all in order to work these devices require effort on the partof the hobbyist. The filter gestsclogged, the pump intake is overgrown with algae, the filter sock gets dirty,and needless to say “somebody has to take out the trash” in a manner ofspeaking. In other words if you don’tthink your filter is really working, try cleaning it out and I’ll bet it worksa lot better. The second con orcomplaint about such devices is the cost. No argument here. You do have tobuy them, or you do have to buy replacement parts. The third commonly cited down side to mechanical filtration is“why buy something you don’t need?”. That indeed is a great question, if it holds true. I’ll discuss this in the next section. 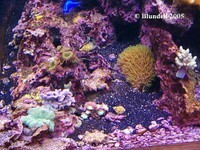 This is the newly found and booming area of reef aquariafiltration. For over a decade now thishas been the rage. The addition of liverock to salt water fish tanks may have been the greatest trend to ever hit thehobby. The basic principle withbiological filtration is to take waste particles and break them down by safelyby biological means. I guess you couldsay the idea is to break them down where they won’t cause problems, but I preferto think of it in another way. Myvision of this is to add more animals to the ecosystem which use these “wasteproducts” as a food source. Much likeone man’s garbage is another man’s treasure type of philosophy. Explaining this to a new hobbyist is oftendifficult. Try telling someone thattheir tank is polluted and really needs more bugs and bacteria to make itbetter. Sand beds vary in design. Two main principles are substrate depth and substrate composition. Shown here is a deep sand bed, and also asand bed comprised of black sand and coralline encrusted shells. Regardlessof how you explain or define it, the idea is to use living organismsto break down and consume waste products so that they don’t just breakdowninto free floating or dissolvable organics. In my mind live rock andlive sandare the undoubted champions of biological filtration. The surfacearea, water channels, bacterial load, and protectedshelters offer a vast amount of biological activity. Additionallycorals an excellent filtration tool in reefaquaria. 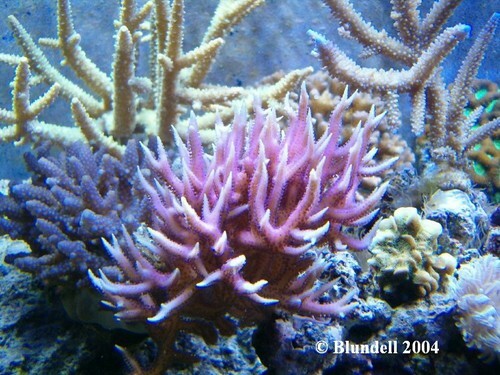 Direct feeding and diffusedintake of organics allows corals to grow. This feeding method directly removes matter from the water column andconverts it into something else. Agreat aspect of this is that the “something else” it converts wasteintohappens to be a desirable product, namely coral growth. Coralgrowth is certainly one of the more desired filtration methods of mosthobbyists. Another area of nutrient removal is macroalgae. This concept has also been abooming success for 10 years as refugia have flourished in the area ofhomeaquaria. The idea here is to grow algae(usually very beautiful and appealing in variety) as a way to removenutrients. As the algae grows itremoves nutrients, and the algae also serves as a food source forfishes and asa breeding ground for invertebrates. Pictured here is an example of macro algae used as decoration, food,andfiltration in the main tank display area. Cons to biological filtration are rarely mentioned. The first downside is that biologicalfiltration never removes nutrients from the aquarium. Therefore as long as you are feeding your fish and your coralsyou will be increasing the nutrient load of the aquarium. This can be related to the golden rule ofgardening “put in what you take out, take out what you put in”. 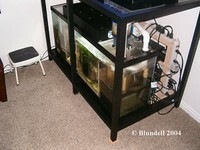 If you are not harvesting your aquarium youare accumulating matter in the system. This may not be aproblem if the fish and corals are growing, but they certainly are not growingat the rate of input by even the stingiest feeder. The second downside to biological filtration is really just anindirect trend. With the increasedunderstanding and usages of biological filtration too often we forget aboutmechanical filtration. I’m not justreferring to a short time affair but instead on global and long termsetting. For 10 years now as biologicalfiltration has dominated the hobby, the usage and understanding of mechanicalfiltration has plummeted. This may notbe a bad thing, but it may generate a false sense of security as aquariumscontinue to build their organic loads and reach a maximum capacity. Upcoming presentations and publications(most notably by the wonderful Julian Sprung) will explore these ideas. 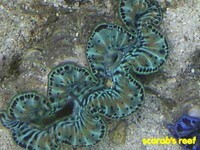 Both mechanical and biological filtration serve a role inthe reef aquaria hobby. Often times ahobbyist will focus on one area/concept and will underestimate the need for theother. While effective on their own, inconjunction obviously appears to be a more effective overall method. It is important for a hobbyist to identifywhich filtration methods they are using and how those methods are contributingto the health of their system. Shown here is a “hang on the back” filter which has beenconverted into a hang on refugium. Thisis an example of combining a mechanical filter with a biological filter. Adam Blundell M.S. works in Marine Ecology, and in Pathologyfor the University of Utah. While not in the lab he is the president of one ofthe Nation’s largest hobbyist clubs, the Wasatch Marine Aquarium Society (www.utahreefs.com). He isalso Director of The Aquatic & Terrestrial Research Team, a group whichutilizes research projects to bring together hobbyists and scientists. Hisvision is to see this type of collaboration lead to further advancements inaquarium husbandry. Adam has earned a BS in Marine Biology and an MS in theNatural Resource and Health fields. Adam can be found at adamblundell@hotmail.com. Blundell, A., Finch., J., (2004) “Oolitic Sand Analysis”. http://www.advancedaquarist.com/issues/feb2005/short.html, Advanced Aquarist Online Magazine, USA. Pro, S., (2004) “Protein Skimmer Impressions”. http://www.wetwebmedia.com/ca/cav1i1/protein_skimmer_impressions.htm, Conscientious Aquarist, USA. Pro, S., (2004) “Power Filter Impressions”. 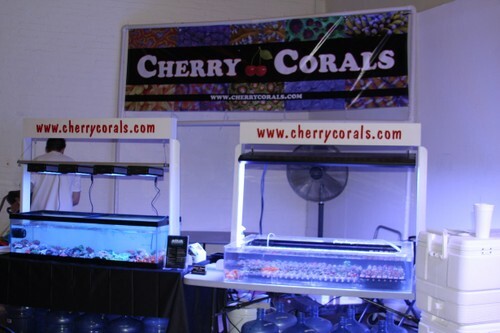 http://www.wetwebmedia.com/ca/cav1i2/Equipment/filters.htm, Conscientious Aquarist, USA. Pro, S., (2005) “Canister Filter Impressions”. 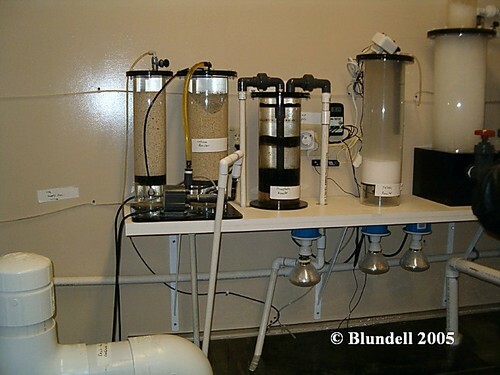 http://www.wetwebmedia.com/ca/volume_2/cav2i1/canister_filters/Canister_filters.htm, Conscientious Aquarist, USA.